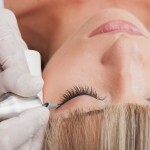 Services2 - Permanent Makeup Center Inc.
Microblading, also known by a variety of names such as hairstrokes, eyebrow embroidery, microstroking, and feathering is is a specialized technique used for semi permanent makeup to create the most natural and beautiful eyebrows with a handheld microblade by infusing pigments into the upper layers of the skin. It’s the perfect solution to sparse, over plucked, over waxed and thinning eyebrows. This treatment is ideal to cover scars and gaps, define shape, create an arch and fill in the eyebrows, this method is ideal for anyone wanting to enhance the look of their eyebrow. Microblading produces a very fine line that resembles real hair. Each individual hairstroke is hand drawn and blended in with the existing eyebrow hair. The results is gorgeous and very lifelike brows. You can hardly believe it’s not real hair! Magnifying mirrors or awkward glasses NO MORE!! No more embarrassing eye gook or runny sporadic liner under the eye. No more pulling on delicate eye tissue to apply or remove your eyeliner. Imagine having perfect eyeliner day and night. For gorgeously defined eyes, or a dramatic “cat like” or “winged” look, or a delicate eyelash enhancement, permanent eyeliner is your answer. To balance the eye, if they are small, we can make them appear bigger, if they are too far apart, we have ways to bring them in. Too close together, we can bring them out. If they droop at the ends, they can appear to be lifted, and so on. 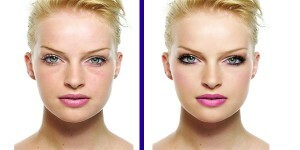 These beauty effects sculpt your eyes for a dramatic look. Together we can discuss the overall effect you desire and the precise look you’d like to achieved. Are you tired of drawing on your brows everyday or having them melt off on hot days or when working out? Are your hands shaky? Do you wear glasses? Have you over tweezed or shaved your brows and they simply refuse to grow back? Are your brows naturally light or sparse? Do you simply want them softly filled in? If your answer is yes to any of these, then you are going to absolutely love your permanent eyebrows. The eyebrows ‘frame’ the eyes and influence the total symmetry of the face. 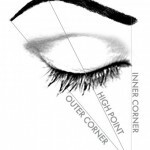 The composition of the eye brow, if done correctly, including color, will add youth, beauty and simplicity to your life. 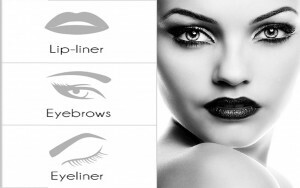 Unlike the harsh ‘stencil looking’ or waxy brows commonly seen, the technique used by Permanent Makeup Center results in an authentic brow, weather you choose a heavy or soft appearance. We use your bone structure (not a stencil) as a guide to create the most flattering eyebrow design for you. Depending on the technique and colors used your permanent brows can have the appearance of natural hairs with our hair stroke methodology or have the delicate soft appearance of color from brow shadow. Whatever end result you desire your natural facial features will be enhanced. Rub your eyes, swim, work out or just wake up with perfect shadow. 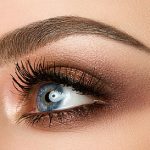 Applying a soft brown shadow around the edge of the liner will soften the liner, or ad depth to the eyes, or a light tone of olive green, or navy blue will bring out the natural color of your eyes. Again with no fuss to look your very best every second of the day. Have your lips lost their definition and natural coloring around the lip border? Would you like them to appear more plump? Have they thinned out over time? Does your lipstick run into the cracks? Permanent lip color can give you the optical illusion of fuller looking lips, and again, balanced. Permanent lip color can be applied using several different methodologies. Depending on your personal preference, lip color can be applied only as a lip line with slight fading, to reshape and contour lips for a more defined sensual look or a soft natural tone to bring back definition and lost color. Repair damaged, miss-shaped, uneven, incorrect color permanent makeup. 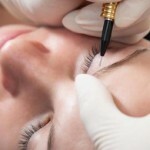 Most permanent makeup can be repaired with little cost and no pain. Hypo-pigmented scars (light) or Hyper-pigmented scars (dark) can be camouflaged with skin tone colors to help conceal the scars appearance. On occasion breast reconstruction or cosmetic surgery, there is scarring that can be camouflaged to natural skin tones and the natural color of the areola complex restored. This procedure is perfect for those born without color in the areola complex or those wanting and natural or different or blended appearance. I’m a senior, and my hands get shakier everyday. PMC did my eyebrows and there done so well! I love how easy it is to get ready each morning. I’m so busy with my kids, husband and work, it’s such a timesaver having my eyeliner and brows perfect everyday. My makeup used to melt off while working out or in the heat. 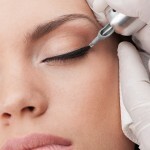 With my permanent makeup, I don’t have to worry about having one eyebrow or black gook under my eyes. I also love the natural look.